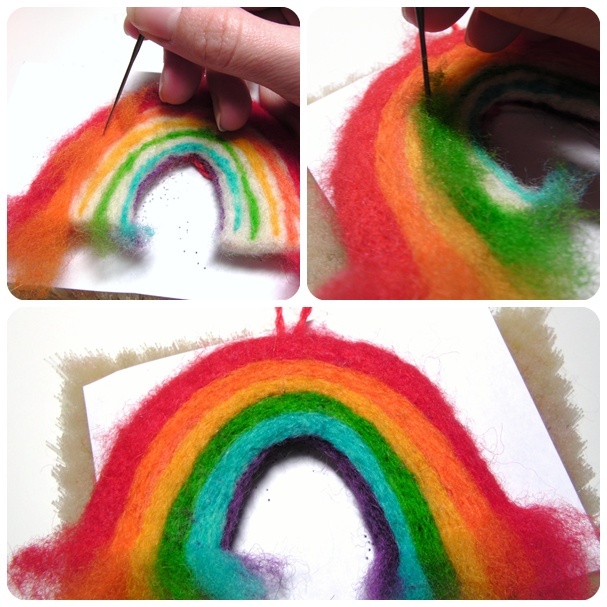 Today’s needle felting tutorial involves a little bit of sparkle! 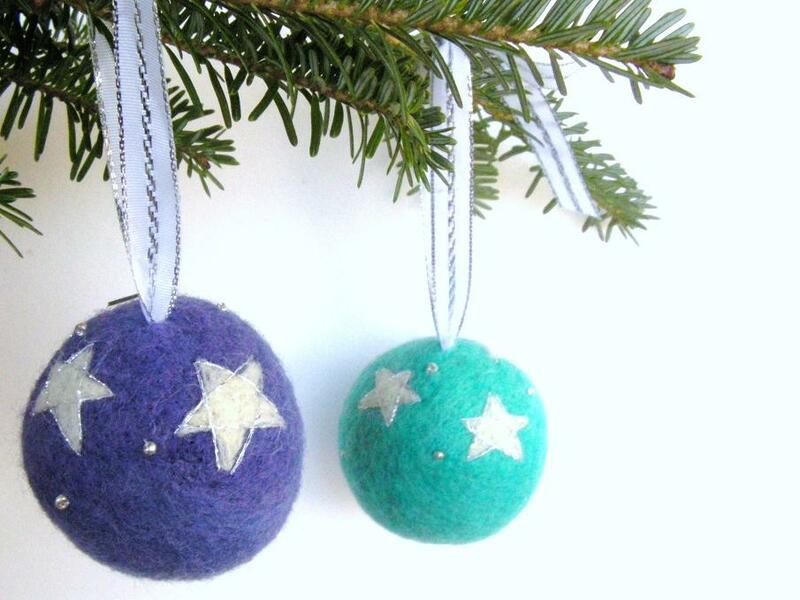 Felted ornaments don’t typically add much glimmer to the tree and I came up with an easy felted design that will add just the right amount of “twinkle”! It would be fun to make a set of these in a few different colors. Each ornament takes around 1.5 to 2 hours to create. 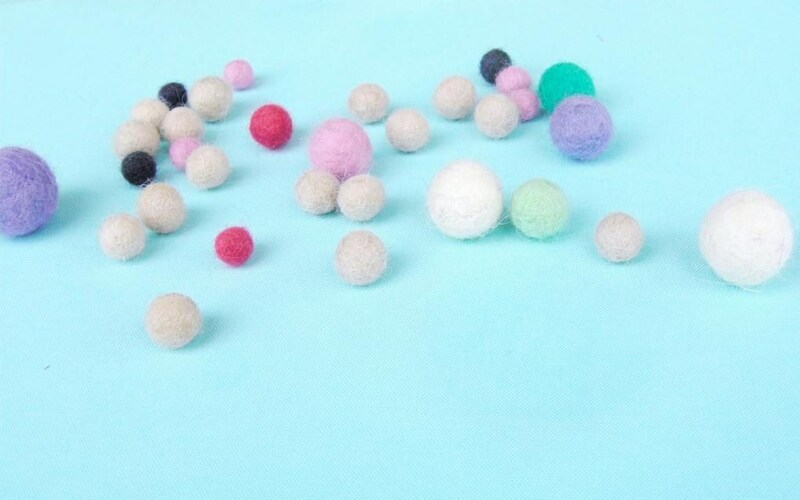 Begin by attaching a ribbon hanger to a felted ball and then needle felt the chosen colored wool onto the top half of the ball. 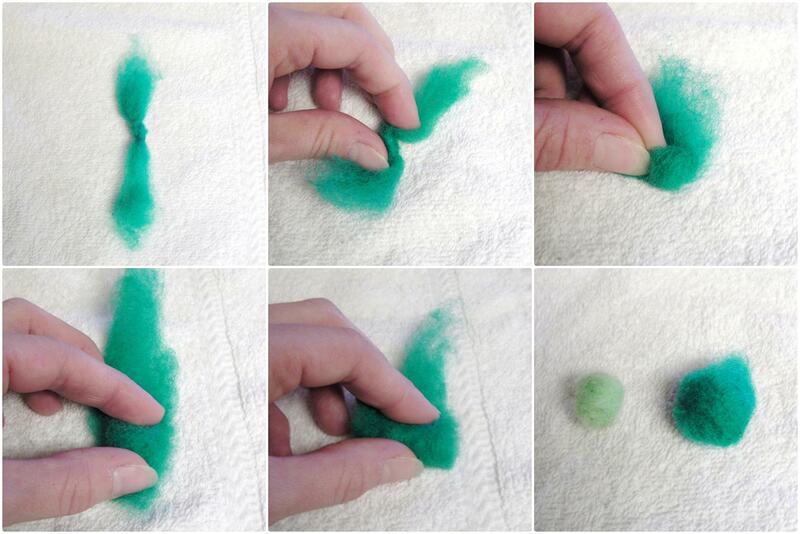 I have two previous tutorials that will walk you through the felted ball and ribbon hanger steps! Now, it is time to create the stars. These stars will be felted onto the top, colored portion of the ornament! 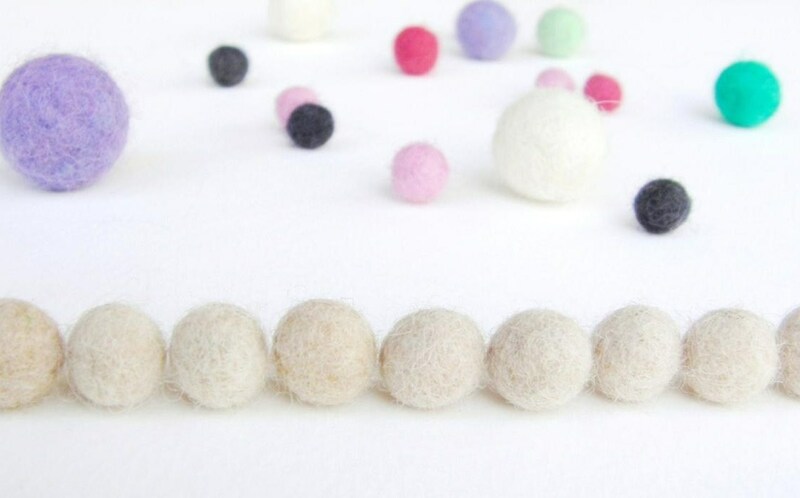 Grab a small tuft of white wool roving. 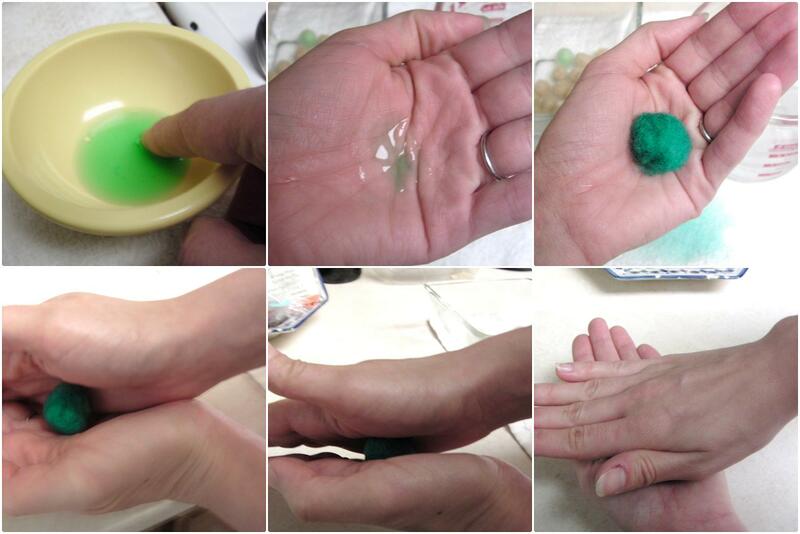 Stretch it between your fingers, so that a thin strand is formed. Needle felt 5 thin strands, one line at a time, to create a star. Just “draw” it as if you would on paper! Then needle felt inside the “drawn” star so that it is “colored” all in. Create as many stars as you like, in slightly different sizes. 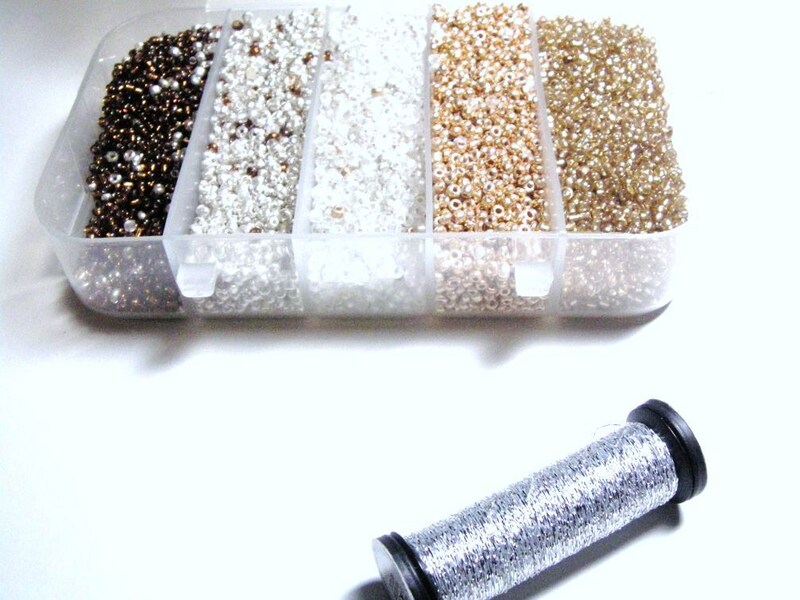 It’s time to add some SPARKLE!!! I used tiny metallic, jewelry beads and some sparkly, silver embroidery thread. Attach the beads, somewhat randomly, across the top portion of the ornament. 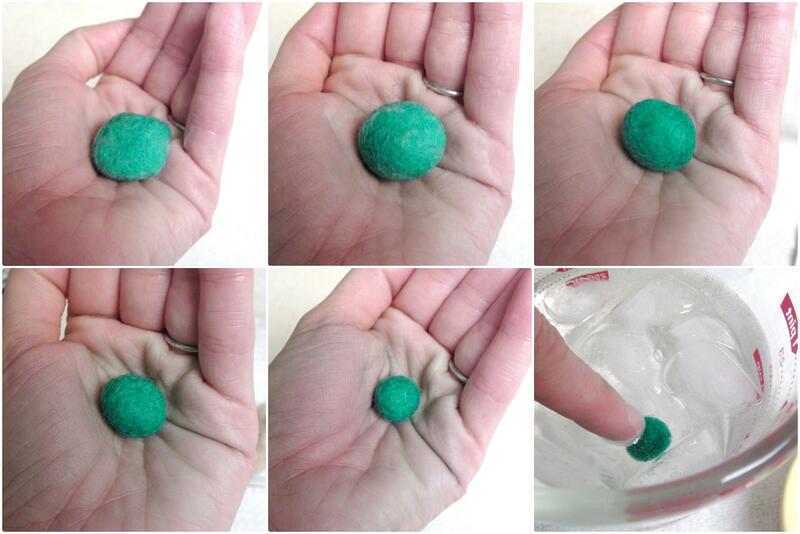 To do this, simply insert the threaded needle into the uncolored portion of the ball and up through the colored top half. String a bead onto the needle, insert the needle next to the bead, and push the needle out into the unfinished portion again. Tie a knot and repeat. 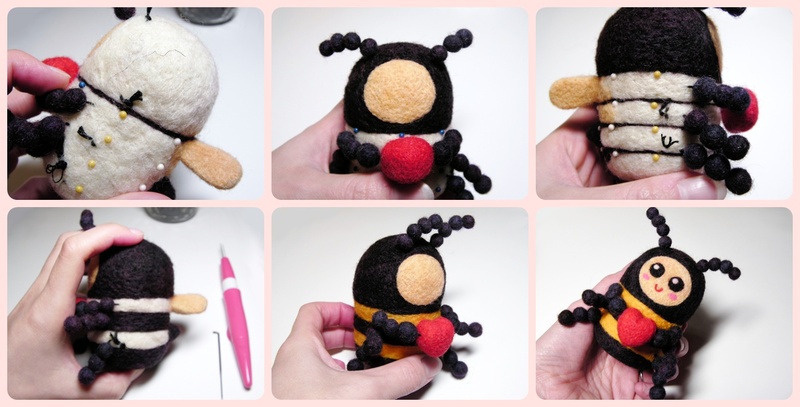 Using the unfinished side of the ornament this way allows the knots of the embroidery thread to be felted over and hidden forever! 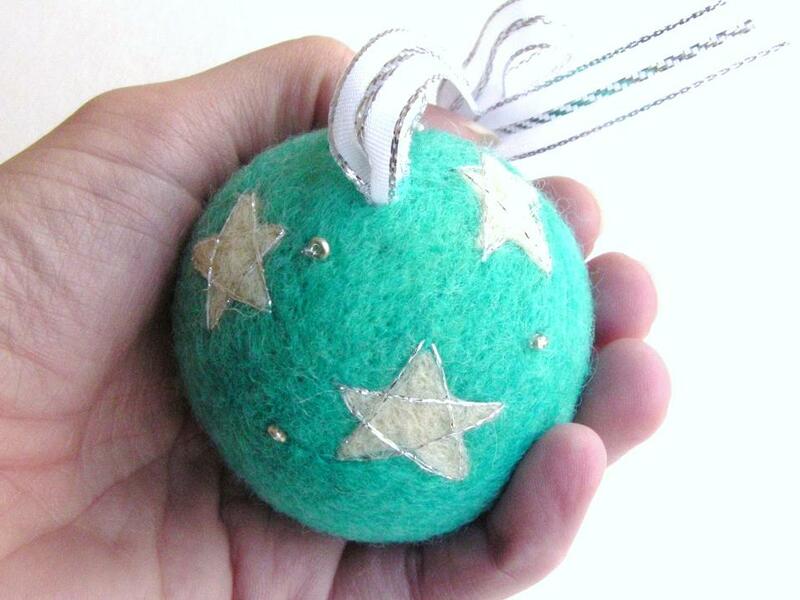 The next step is embroidering a silver “drawn” star over the felted white stars. 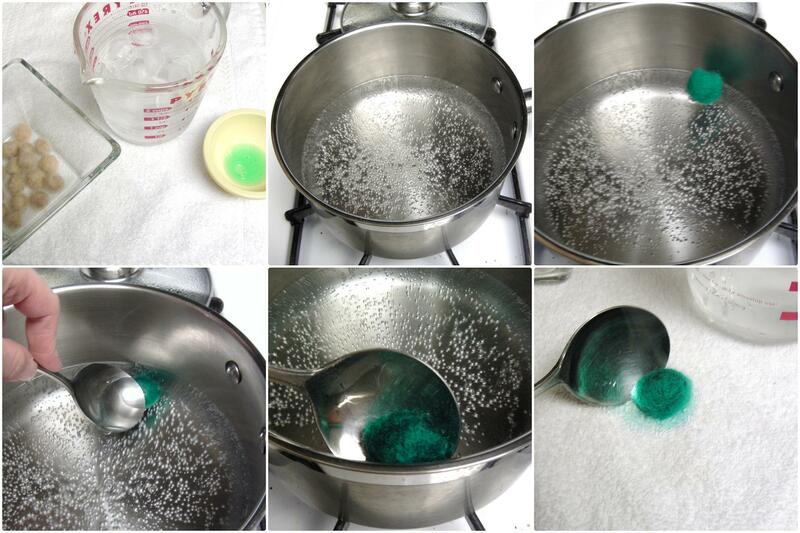 This is a bit tricky to put into words, but the pictures should help out a lot! Basically, start the needle in the unfinished portion of the ball again and pull it out at the very tip of one of the stars. Then begin to “draw” the silver, sparkly star with the embroidery thread. Again, finish off the thread on the unfinished portion and tie a knot. 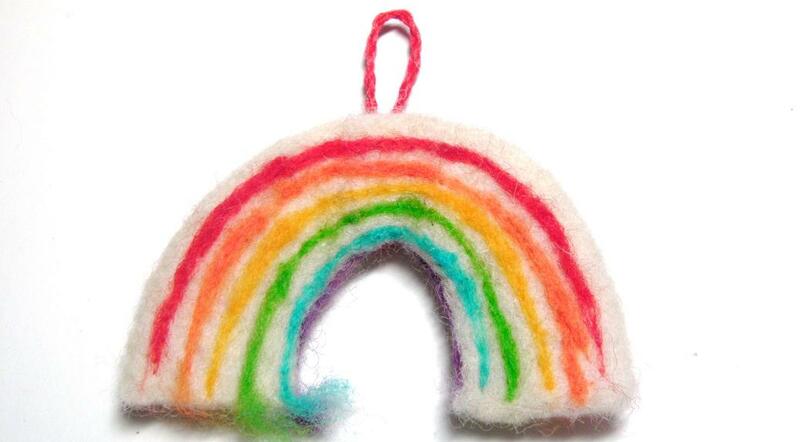 Finally, needle felt color onto the bottom portion of the ornament. A clover pen will make a bit quicker work out of this. 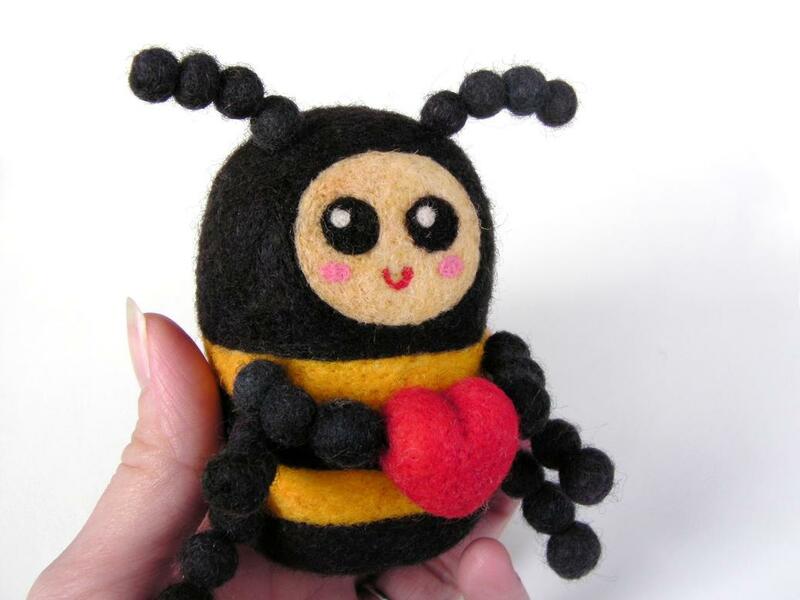 Use care when felting over the knots! The ornament is complete. This design is so easy to be creative with. Yellow stars on a red ball with gold beads and embroidery thread? Different colored stars on a white ornament, and multicolored beads? The very best thing about these ornaments is that they are virtually unbreakable, unless a dog or cat is prowling underneath the tree! 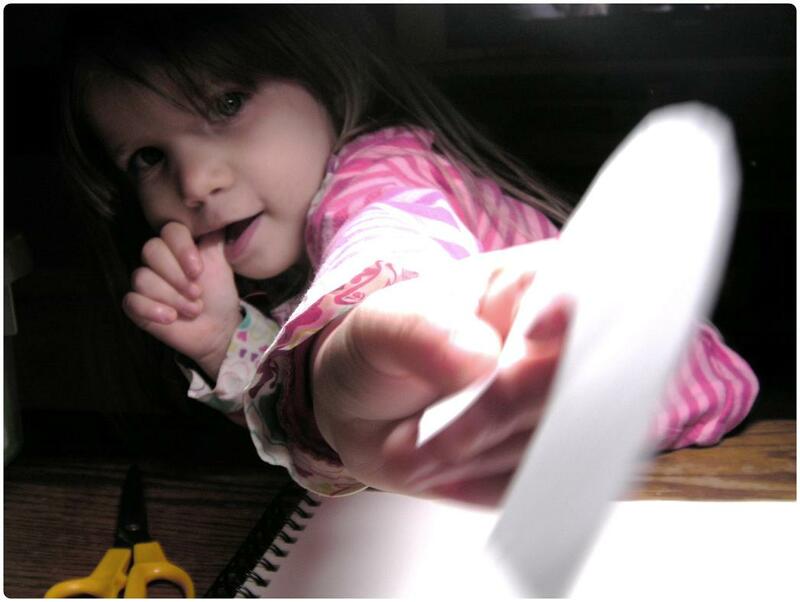 They are great for small toddlers to hang and are guaranteed to not crush into small bits in their sticky hands.